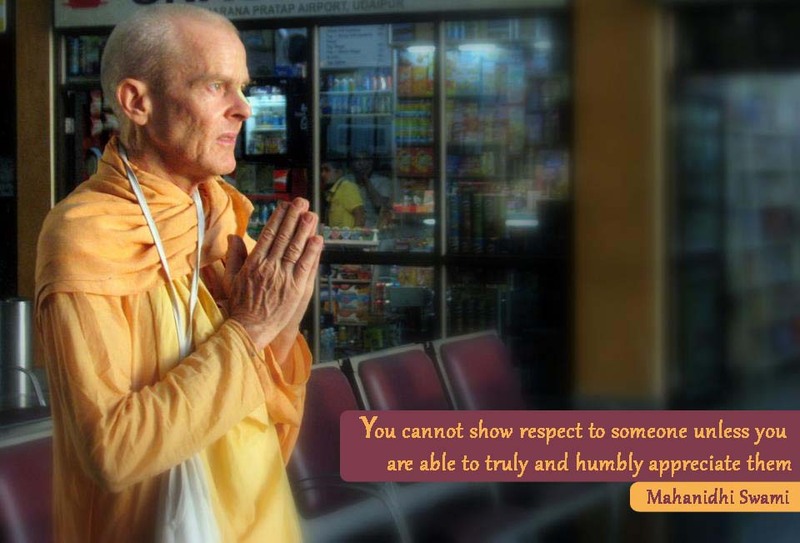 You cannot show respect to someone unless you are able to truly and humbly appreciate them. In this world of Maya, which is averse to the Lord, full of trials and tribulations, only patience, humility and respect for others are our friends for Hari bhajana. A lot of forgiveness, tolerance, respect, etc. is required in Kali Yuga to breed actual love.